In an ideal world you’d be able to put all the laundry in the washing machine and not worry about sorting colours or checking what temperature things needed to be washed at. Unfortunately it is just the case that there are some clothes that need extra care taking of them when putting them through the wash. 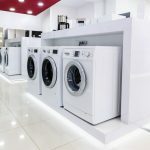 So what is the best way to hand wash clothes so that they’re clean, but at the same time, cared for? The first thing to make sure of is that you’re not washing light with dark. It may be a hand wash but colours can still run. Sort them into piles and wash lights and whites separately from your colours. Cream/white/pink/pastels can all go in the light category. Next make sure that you’re not washing them in water that’s too hot, because if it’s too hot then the water may shrink your clothes or help them to lose their colour. Water that’s lukewarm will still be warm enough to get out most stains. If it’s not then you might need to do some spot-cleaning before hand washing. On a side note; a common mistake to avoid when hand washing is adding too much detergent to the water. Follow the directions on the bottle and don’t put in more than is recommended – more is not always better. If you put in too much then you may well end up with residue on your clothes. Once the water is poured and the detergent added, the first stage of the hand wash is the soaking stage. 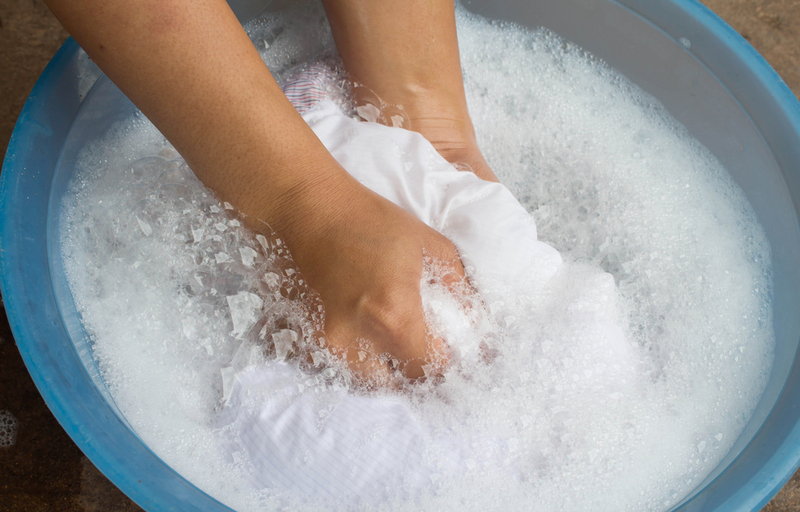 Leave the clothing to soak for 5-10 minutes so that dirt and stains can be loosened. Don’t go over 20 minutes though because this might led to clothing shrinkage or general damage. When you come back, as this is a hand wash for delicates, don’t rub the clothes hard against one another. Beaded tops catching on lace bras is not what you want! Simply swirl them gently in the soapy water to get them clean. Spend a couple of minutes doing this and then move onto to rinsing. 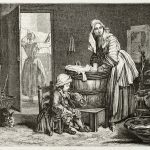 As before, don’t rub the clothes against one another but just swirl them in clean water. Either use another tub/basin (if you have a few loads of hand washing to do having more than one tub rather than a sink which you have to keep emptying and refilling with soapy water is useful), or empty the sink you have, swill it out, and fill with fresh lukewarm or cool water. 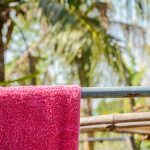 It’s a good idea to rinse the clothes out a few times, using new clean water each time. Once the water stages are done, to get the excess water out don’t wring the clothes as this can damage and misshape them. Either press the clothes against the side of the now empty rinsing basin, or roll the items in a dry towel, press down, and then unroll. After this gently reshape any items that need reshaping and lay them flat on a towel or a drying rack to dry. Then when the upper-most side is dry to the touch, flip the items over so the underside can also dry. And that’s it; all done. How Often Do You Wash Bedding?